Folding displays are innovation, but what positive impact do they bring to a smartphone? What does a larger screen achieve? Tablets are a dying tech category, and not many apps are optimized for a massive squarish display (Instagram still doesn’t exist for the iPad OS). The folding display only has two foreseeable benefits. Bigger screen for media (still strange, considering 16:9 media on a square screen means a waste of space), and bigger screen to facilitate multitasking. The folding displays are still largely a ‘power flex’ (Geddit? Because they’re flexible? ), designed to make phones look different and to make companies look like pioneers of innovation. The Pro1 phone by F(x)tec on the other hand, innovates by looking back at a format that has, for long, served its purpose well. The Pro1 features a sliding screen that slides sideways to reveal a QWERTY keyboard. While phones slowly and steadily become as powerful as laptops, and while people are now increasingly using phones to type out mails (I’ve typed my share of articles on my phone too), the Pro1’s tilted-screen and QWERTY keyboard build helps bring the useful format to the smartphone world. This not only helps differentiate it from the hoardes of bezel-less notch-filled smartphones, but also brings true value to it. The Pro1 features a sliding screen that promptly angles at 155° to give you the perfect viewing angle as you type on its fully loaded QWERTY keyboard below, featuring 5 rows of keys and responsive, tactile feedback within each keystroke, an experience heavily missed after over a decade of touchscreen typing. The Pro1 also packs a Qualcomm Snapdragon 835 processor, a rear dual-camera system with Sony’s IMX363 sensor (capable of recording 4K/30fps, a fingerprint sensor on the side, dual SIMs, stereo speakers, 6GB of LPDDR4 memory and a memory slot that’s expandable up to 2TB. This makes the Pro1 an extremely good featured phone, especially for its $649 price tag. Take that, over-expensive, flexible, dare-to-be-different smartphones! 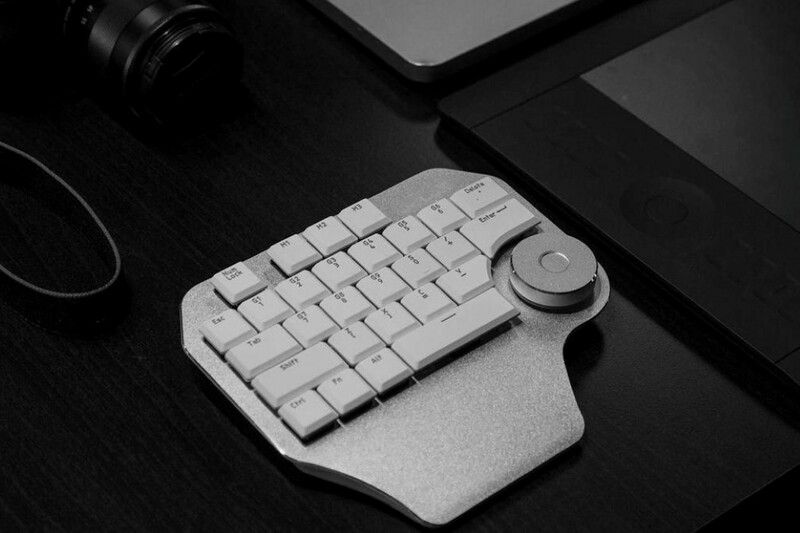 A heaven-sent for every creative, the Delux Designer was designed for your spare hand. You know, the one that isn’t wielding the Wacom stylus. 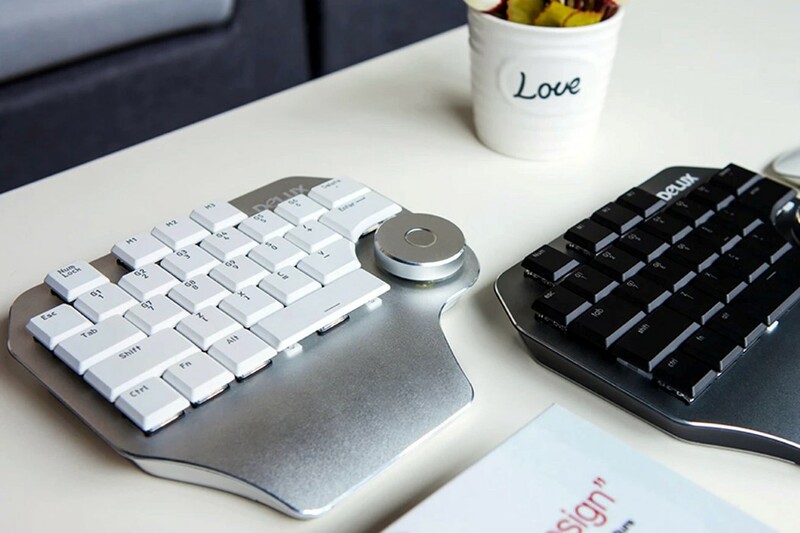 With 28 absolutely essential keys (including 12 specially programmable hotkeys) and a dial, the Delux Designer is the only keyboard you’ll ever need to work your creative software. 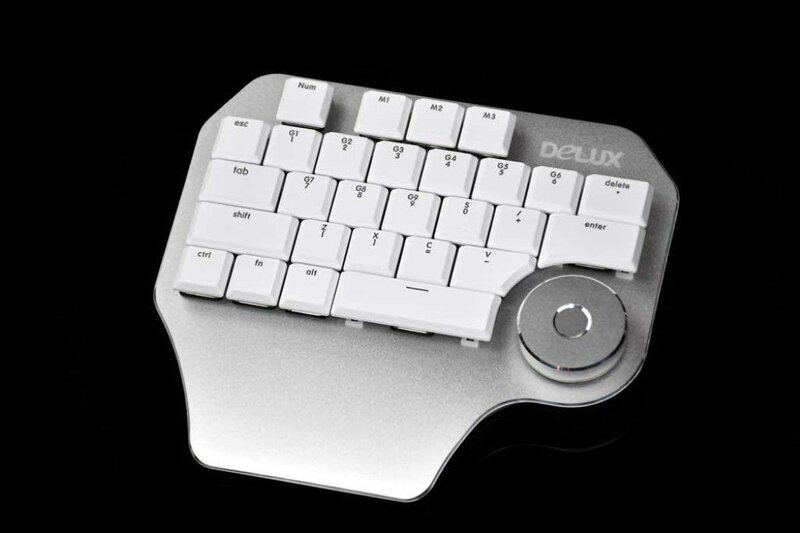 The Delux Designer occupies a third of the space a regular keyboard takes. 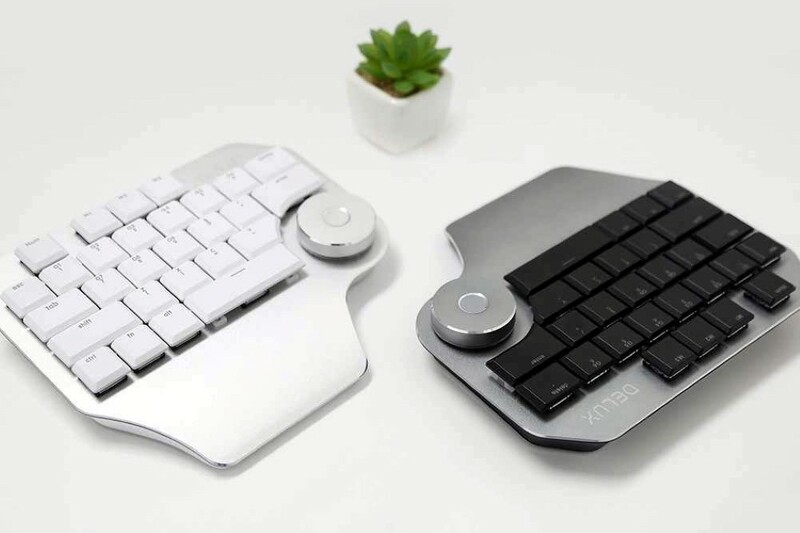 In fact, it strips down the regular keyboard to its bare essentials, putting all your important shortcuts under your fingertips, shortening the work process since all the keys you need are always directly under your palm. 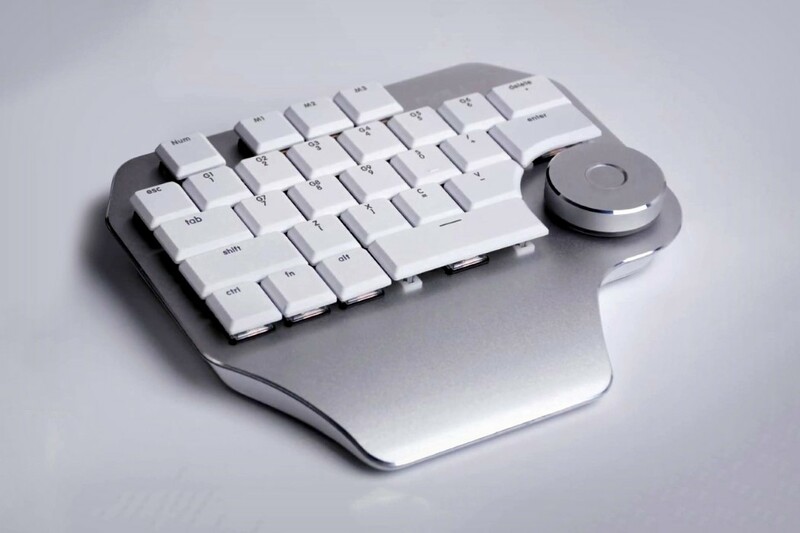 With customizable macro and shortcut keys, and your essentials like the spacebar, enter, ctrl, alt, and shift keys, all within a single hand’s reach, the Delux Designer can be operated by one hand (which means you don’t need to use two hands to hit ctrl+p to print, or ctrl+y to redo), leaving your other hand free to use a sketching tablet, and allowing your workflow to go much faster than usual. The programmable keys allow you to switch between tools, and the Delux Designer even packs a dial that lets you calibrate and control your tool settings. Every key is customizable and is compatible with a wide range of software, making the Delux Desiger suitable for graphic designers, 3D modelers, photographers, video editors, etc. 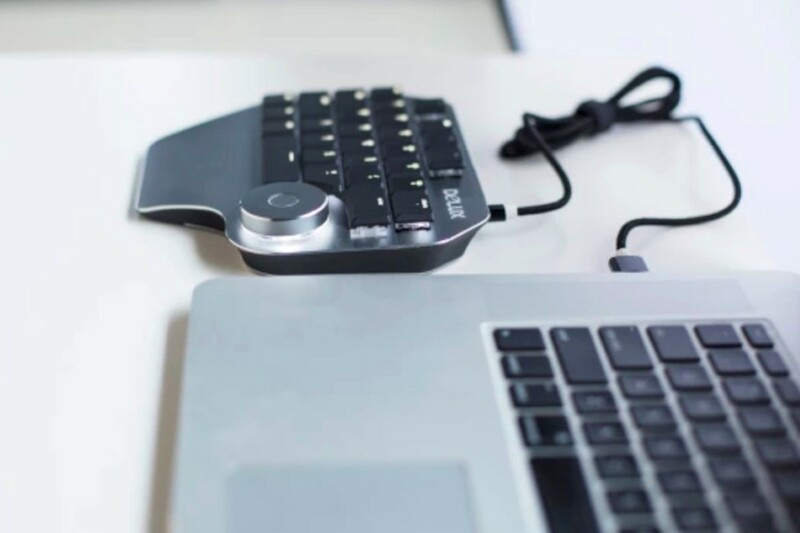 And the Delux Designer doesn’t just shorten your workflow, but betters it too by using mechanical keys for a pure tactile experience, and a backlit layout that lets you work the late hours.